A flattering knit dress for when you want to look your best. Three-quarter sleeve dress in a shimmery rayon-blend knit. Fit and flare design. Shoulder cutouts. V-neckline and back. Detachable self waist tie. 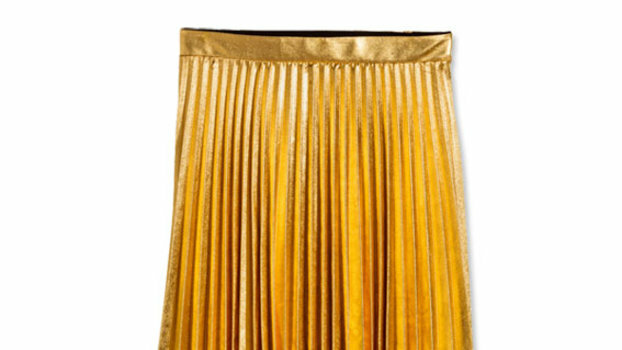 Pleated skirt. Midi length. Lined. 78% rayon 22% metallic; Lining: 90% viscose 10% spandex. Hand wash dry flat. Imported. Measurements: Length: 49 in Product measurements were taken using size SM (US 4-6). Please note that measurements may vary by size. Classic silhouette meets sparkle for an elegant evening look.